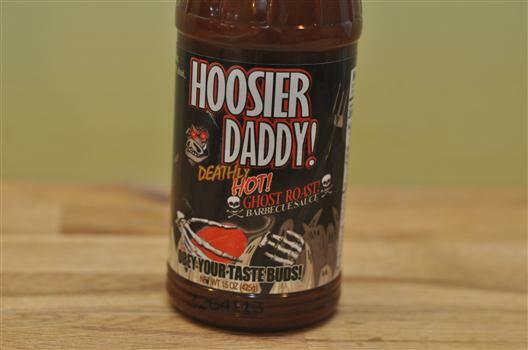 Hoosier Daddy Deathly Hot Ghost Roast Barbecue Sauce is tasty but HOT. It’s truly a hybrid (BBQ/mustard) sauce for Chileheads! 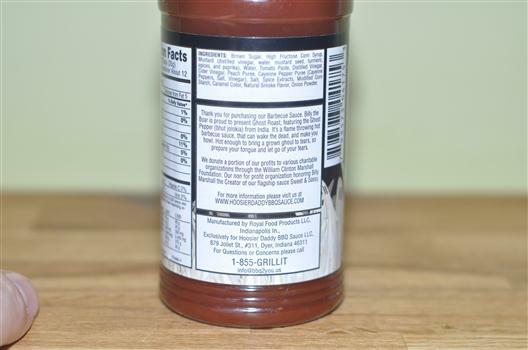 The core taste of this sauce is very similar to Hoosier Daddy’s Classic BBQ Sauce which I reviewed awhile back. Except this variety can burn your face off. Sure, the flavor is nice – the mustard and BBQ sauce flavors will dance together and share a moment of bliss on your tongue for about half a second when all of a sudden BAMMM – the bonfire starts to blaze! So it’s a bit too hot for my liking, so I can’t give it a 5, but the flavor and the cool bottle and the chilehead level of heat should appeal to a certain crowd – I’d try to get this stuff featured by Scott Roberts, Brian & Marilyn Meager at Hot Sauce Daily, and other notable lovers of all things REALLY FRICKIN HOT. 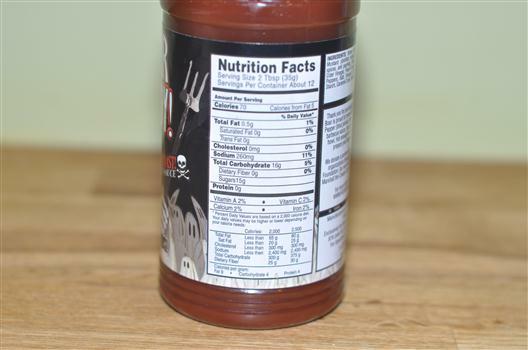 Although I prefer a heavy glass bottle of BBQ Sauce, the plastic bottle seems to be a reasonable thing to offer – especially in my house with my 3 kiddos. One look at that Billy the Boar grim reaper on the label will be enough to make them drop it if they ever try to pick up the bottle! 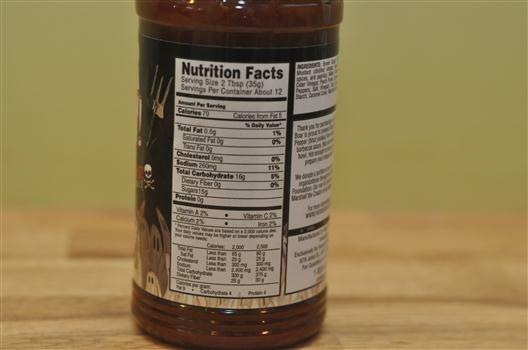 If Original Hoosier Daddy is Rock ‘n’ Roll, this sauce is a bit more like death metal. I thought a decent packaging idea for Hoosier Daddy would be to package this sauce in the 12 ounce hot sauce shape which immediately indicates SERIOUS HEAT. Chileheads, place your orders now! Thanks for the another Great Review Brian!!!! I’ll take that 4 and run with it as a first time “Q”r with a second sauce in less than 5 months out! Ghost is living up to it’s name and disappearing off the shelves! Alot of new and exciting coming soon. Make sure to visit us on facebook.com/billytheboar! See you soon with our next newcomer…lovin the Q life and Grillin’ every minute of it! If I win the fryer, I will use it to cook turkeys and give away to the homeless. I would be soooooo thankful!